This book provides a comprehensive and up-to-date overview of the psychiatry and neuroscience of Cannabis sativa (marijuana), with particular emphasis on psychotic disorders. It outlines the very latest developments in our understanding of the human cannabinoid system, and links this knowledge to clinical and epidemiological facts about the impact of cannabis on mental health. Clinically focused chapters review not only the direct psychomimetic properties of cannabis, but also the impact consumption has on the courses of evolving or established mental illnesses such as schizophrenia. 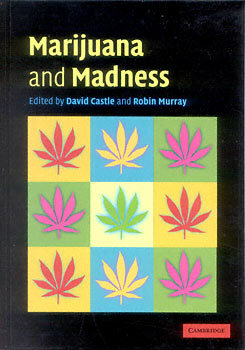 A number of controversial issues are critically explored, including whether a discrete 'cannabis psychosis' exists, and whether cannabis can actually cause schizophrenia. Effects of cannabis on mood, notably depression, are reviewed, as are its effects on cognition. This book will be of interest to all members of the mental health team, as well as to neuroscientists and those involved in drug and alcohol research. David Castle is Professor at the Mental Health Research Institute and University of Melbourne, Australia. Robin Murray is Professor at the Maudsley Hospital and Institute of Psychiatry, London.